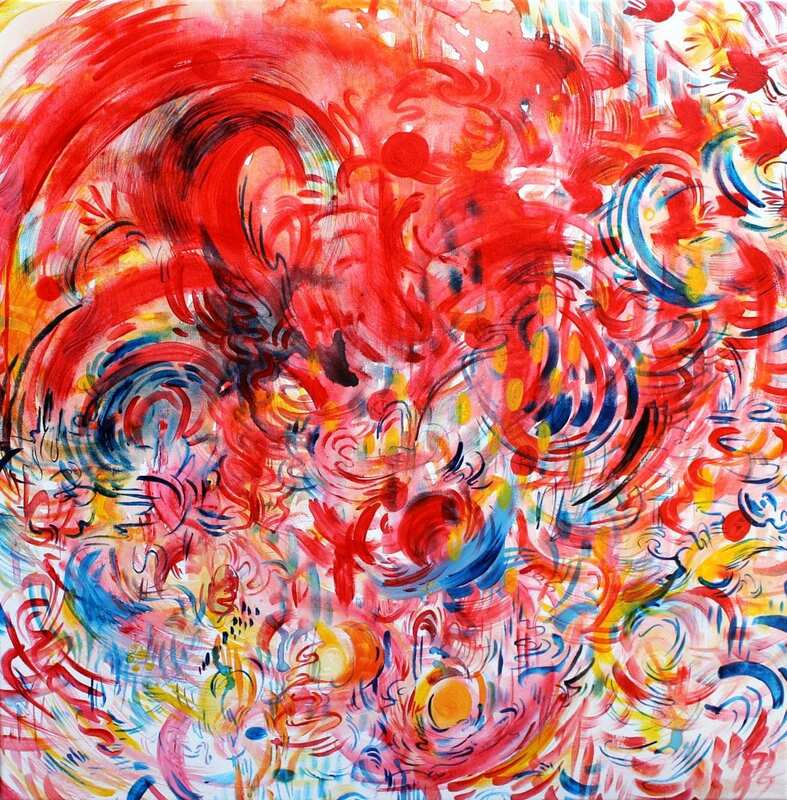 Target Gallery presents a new yearly exhibition featuring the work of 4 emerging artists to spotlight new talent and the up-and-coming artistic innovators of the D.C. metropolitan area. The selected artists this year include: Kate Gorman, Kim Sandara, Madeline A. Stratton, and Sean Sweeney. The jury panel for this opportunity was: Adah Rose Bitterbaum, founder and director of Adah Rose Gallery; Philippa Hughes, founder of The Pinkline Project; and Dawne Langford, founder of Quota . 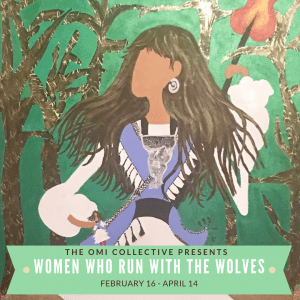 The Omi Collective in collaboration with the Torpedo Factory Art Center presents a group exhibition that features art by local female-identifying artists based on the theme, Women Who Run with the Wolves. Visit the exhibition in Site 2 and stop by the Riverview Room (208) next to the gallery for artist talks and storytelling developed by women participating in the group show. Nava Levenson in a multidisciplinary artist, instigator, and collaborator based in Richmond, Virginia. She completed her bachelor’s of fine arts in 2017 from James Madison University. Her work investigates anthropological concepts such as hospitality, labor, consumption, and space making. 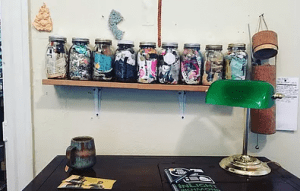 Nava incorporates repurposed materials in much of her art in an effort to chip away at the surplus of objects that crowd the planet. Stop by her studio from 7-10 pm to meet the artist and see her work in person. As part of the Sister Cities Grant from DC Commission on the Arts & Humanities, Discover Graphics Atelier welcomes Tedeschini to the Art Center for a meet-and-greet during April’s Late Shift. Tedeschini’s approach to printmaking resembles that of a scientific researcher, someone who seeks knowledge and truth for their own sake. Throughout her corpus of engravings, natural forms are a recurrent object of study and observation. She re-discovers and preserves one of the most revolutionary craftsmanships in history. 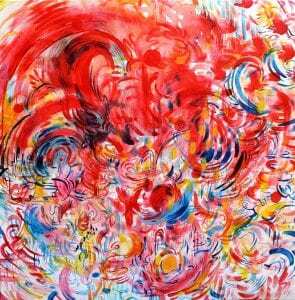 For her, art is a way to re-establish an authentic dialogue, with no mediations, where the world is mirrored back. It is almost a primitive act of looking, without judgement. Then she adds in memories, history, as well as imagination. She uses etching is a way to gain time, to take advantage of life. Leah Sims is a D.C.-based motion designer/animator. View her latest creation in the Grand Hall all night. Students from George Mason’s School of Art constructed sculptural inflatables that visitors can enter and experience. Move around the Grand Hall and by the Waterfront to find additional sculptural inflatables. 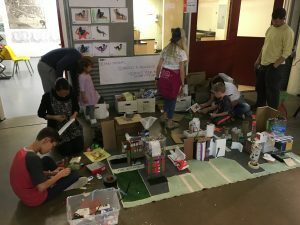 In the North Hall, play a fun and chaotic game of Sculpture Kombat. Using student-made sculptures connected to a computer, play a collaborative game of Mortal Kombat on the big screen. Alexandria’s Mobile Art Lab joins to lead a hands-on activity in the Grand Hall. The Smithsonian Craft Show is produced by the Smithsonian Women’s Committee to support education, outreach and research at the Smithsonian. Stop by the booth in the Grand Hall for information about the upcoming Smithsonian Craft Show April 24-28. Enter your name in for a raffle for two free tickets to the exhibition. Zbu is a Hula Hoop performing artist & instructor in the DMV area. Learn more about this growing art form, or join in and learn a move or two. Happening outdoors on the Waterfront side of the Art Center. Make your mark and contribute to our 30’ mural. 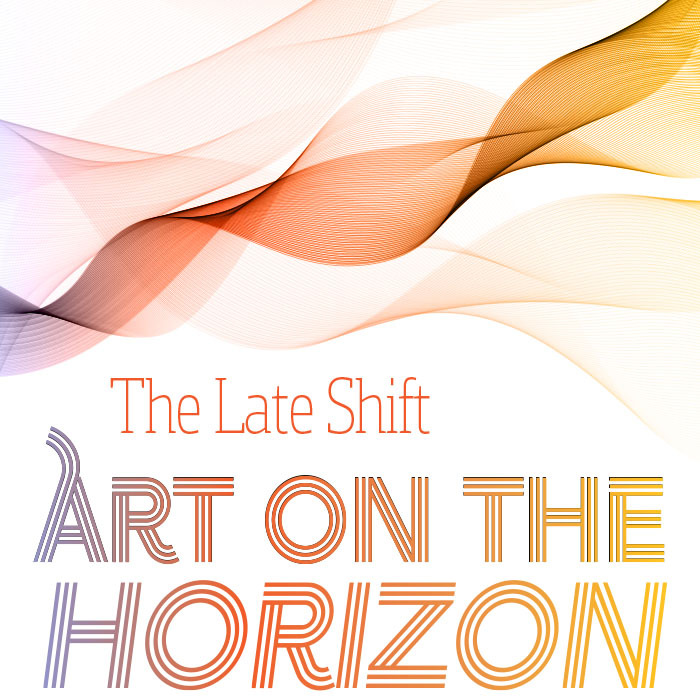 The finished work will be on display in next month’s Late Shift: Alexandria Creates on Friday, May 10. When you finish, celebrate your future status as a world-famous artist by posing on our Red Carpet selfie station.